The Bennetts Arms, Lawhitton, | Launceston Then! 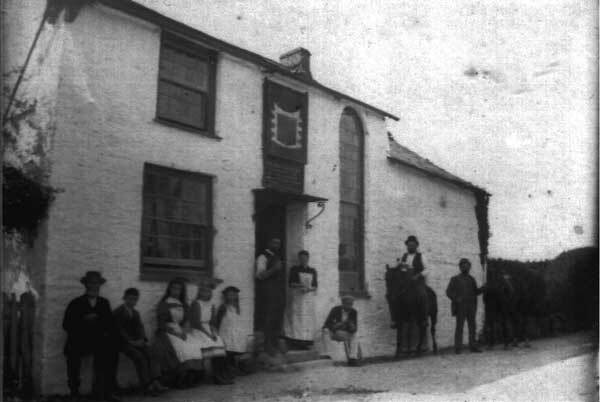 The Bennett’s Arms was a hostelry situated on the main Tavistock to Launceston road in the parish of Lawhitton. It is believed to be named after the Bennett family that were the squires of the parish. On February 7th, 1914, at the Launceston County Sessions a Superintendent’s report was made – Two Houses had been closed by the owners in 1913: the Simcoe Arms, Egloskerry, and the Ring O’ Bells, Altarnun. This left Seven Licensed premises. There was a feeling in the neighbourhood that the Bennett’s Arms should be closed, because the house was not necessary. The Superintendent further added that there was one House to every 800 of the inhabitants. There were Seven parishes without a licensed house. The Bennett’s Arms license was adjourned. In the Autumn of 1914 the Bennett’s Arms was closed. Afterwards it has served as a farmhouse and is now a stand alone private dwelling. Death of Charles Barriball, Landlord of the Bennetts Arms in 1913. In October 1913, a scuffle between Charles Barriball and his son, William, broke out at the Bennetts Arms resulting in the eventual death of Charles on the 31st of October. William was arrested accused of causing the death. The following is the transcription of the inquest on November the 1st 1913. Dr. W.F. Thompson (County Coroner) and a jury were occupied for nearly five hours on Saturday in inquiring into the circumstances attending the death, which occurred on Friday, of Mr. Charles Barriball, aged 60, landlord of the Bennetts Arms, Lawhitton, about two miles from Launceston. Supt. Webber (left) was present for the police, Mr. Gerald Peter (Peter and Son) appeared for the son, and Mr. C. L. Gerveys Grylls (Cowlard, Grylls and Cowlard) represented the executor of the will (Mr. Edgar Willcock) and the owner of the house (Mr. F. B. Lennard. Mr. Bemjamin Bray was foreman of the jury). Elizabeth Scoffern, housekeeper with the deceased, said on Thursday, October 16th, she went away for a holiday, returning about 9:30 p.m. On the following day, when she was told that Mr. Barriball had met with an accident, but no explanation was given her. Everything possible was being done. A few days later deceased told her that he had had a fall, but that she was to ask no questions. He said he was going to die, and wished everything be buried with him. Replying to questions, witness said for a long time there had been a little unpleasantness between the deceased and the family. There was a quarrel between William Barriball and deceased on the Tuesday in that week, but no blows were struck. George Henry Dawe, hairdresser, of Launceston, said that on Friday evening, October 17th, he left Launceston for a walk, and when at the crossways, about twenty paces from the Bennett’s Arms, he heard a row, as if someone was scuffling and fighting. He heard deceased shouting, but did not hear what he was saying. He then saw the door opened, and after a scuffle on the steps, deceased was thrown out over the steps into the road. A man came out, but instantly went back and closed the door, instantly opening it again, and, standing on the steps he said to the deceased on the ground, “You —––––, I baint winded yet.” Witness did not know who the man was that said that, but he recognised deceased by his voice, afterwards the man came down over the steps, shouted down the road in the direction of Greystone Bridge, and two men came up, who assisted in carrying deceased into the house. John Jago, gardener, Kensey-place, Launceston, who was with Dawe, gave corroborative evidence. — Replying to Mr. Peter, witness said he did not see any struggle on the top of the steps. Matthew Venton, farm labourer, said he went in to the Bennett’s Arms on the evening in question a little after seven o’clock. Deceased was there, and some time after William Barriball came in, leaving about 9 o’clock, the some time leaving as witness and some other men left. There had been no disturbance between William Barriball and his father. Witness and another man were on their way home when they heard someone shouting to them, and on going back, saw deceased lying in the road, and helped to get him to bed. Nothing was said as to what had happened, and witness did not ask. There was not the least unpleasantness whilst they were in the Bennett’s Arms. John Werren, labourer, of Lezant, said he was in the Bennett’s Arms from 8.30 to 9.30 on the evening in question, but there was no disturbance during that time. They all left together, leaving deceased in the house. Witness and William Barriball went towards the corner of the house, but William Barriball then asked witness to go back and have another glass of ale, which he did, deceased being the only other man in the house. 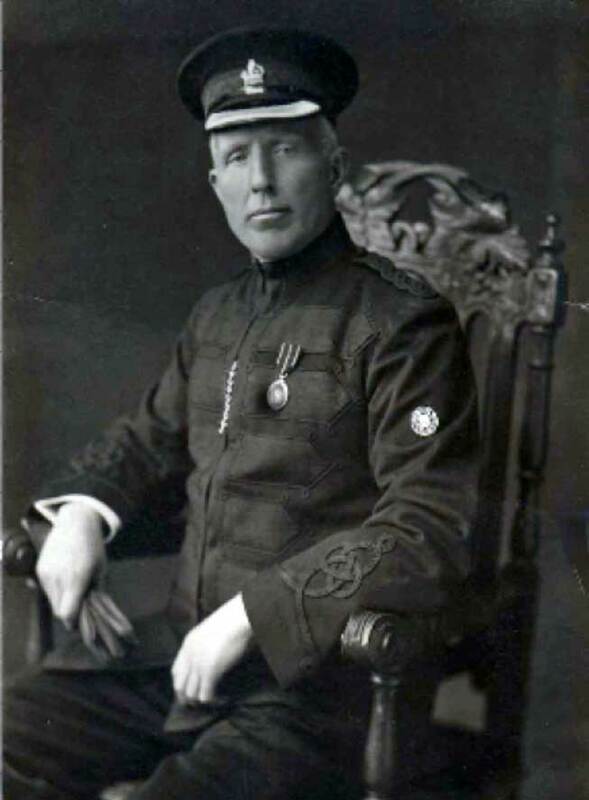 William Barriball told his father that he, deceased, was very unkind to his wife when she was living, and after some words between them, deceased rushed up from the bar and collared his son. William got hold of his father, but witness told him he should not pull about his father. There was a struggle, and witness tried to part them, but he was swung along the passage, and as he was getting up again, William Barriball got to the door, opened it wider, put his hand to his father, and put him outside. Witness could not say whether he shoved him or not, and he did not see any blows struck. — Replying to the jury, witness said he was quite sure deceased clinched his son first. He came up and caught him hold by the throat, inside the collar. Replying to Supt. Webber, witness said; On the next day William Barriball came up to my house, and said I was to say that my father fell out by himself accidentally, but I said, “That will not do.” He came on purpose to say that to you? — I believe so. What state was young Barriball in that night as regards to drink? — I could not see there was anything the matter with him. What state was deceased in as regards to drink? — He was all right. I never saw him better. Sergt. William Cleave (left) said on October 27th he visited the Bennett’s Arms in company with Supt. Webber, and the Superintendent told William Barriball they had come to make inquiries respecting the injury to his father, William Barriball told how he was in the house with some others on the 17th, and said there had been no disturbance. When he left there was no one in the house but his father, and when he got out in the road he heard his father fall over the steps. Supt. Webber warned Barriball to be very careful what he said, as it was stated there was a disturbance in the house that night. William Barriball then said there was a distrubance, but when asked who it was with he did not answer. Supt Webber told him if he was implicated in it he need not answer and Barriball then said, “I will reserve statement, but I will say this — father and me was ‘a bit drinky,’ and we had some cross words. Father said, ‘Don’t you dictate to me,’ and put his hand up against my chest. I caught hold of him, and pushed him out of the door over the steps. He fell very heavily, and I should think he has a seizure before he fell, because he did not try to save himself in falling.” He further stated that after he had pushed him out over the steps he called for assistance to help his father in, and a doctor was immediately sent for. Replying to Mr. Peter, witness said he made no notes at the time of the interview, but the Superintendent did. He was quite sure Barriball said he pushed his father out of the door over the steps. Dr. C.G. Gibson, who attended the deceased, said the cause of death was injry to the spinal cord in the neck, the result of the fall. During the illness he asked ho the accident happened, and deceased told him that he fell over the step on his way to cross to the yard on the opposite side of the road. Replying to questions, witness said there was no other disease about Mr. Barriball, and no sign of any seizure. There were no signs of blows. The same injuries might be caused by a man standing on the steps and falling as a result of giddiness. The Coroner asked if Barriball would like to give evidence, but Mr. Peter said whilst he was quite willing to, he did not think it was necessary that day, as all the facts were out. The Coroner said the jury must make themselves clear as to whether deceased fell in the struggle by himself, or whether there was evidence to show that he fell by being pushed out. If they thought he fell by being pushed out, they must make their mind clear on both points. If he was pushed out by William Barriball, did William Barriball mean to kill his father and get rid of him. If so, that was a verdict of murder. If, on the other hand, he pushed him out, in the heat of the quarrel, without any intention of murdering him, without any malice in his mind, and without thinking of the consequences, then it was simply a verdict of manslaughter. After deliberating in private for more than an hour, the jury returned the following verdict — “That the said Charles Barriball died from injury to the spinal cord, and the jury do further say that the deceased was feloniously killed by scuffling with his son, William, but without malice aforethought, either expressed or implied.” The Coroner said that was a verdict of manslaughter against William Barriball. Through the Coroner, the jury expressed their sympathy with William Barriball in his position, and their regret that they could come to no other decision. Immediately after the inquest William Barriball was arrested and taken to Launceston, where he was brought before a magistrate, formerly charged, and remanded on bail. Accused, who resides near the Bennett’s Arms, is a married man, with six young children. William was bailed on a personal surety of £100 plus £50 each from others.